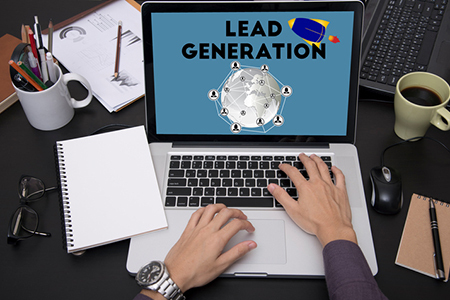 What’s the Secret to Successful Lead Generation? I’ve always said real estate has its seasons. At the beginning of the year, many agents are feeling motivated—they’ve set their goals, their energy is high and they’re ready to make it a great year. That’s why the first quarter of the year is the best time to generate the majority of your leads for the year. However, the key to achieving the goals you’ve set is consistency: you’ve got to be consistent in your activities, your communication with your clients and your goal-reaching intentions. Make a plan. Every lasting change begins with a plan, and a plan is often the result of a vision. When you visualize your success and the life you want to lead, you can outline your plan and set yourself up for success. When you visualize, you’ll see yourself being consistent—sending out valuable information each month, calling your clients on the phone, etc. What time of day is it in your vision? What do your surroundings look like? Write down what you see and outline what you must do to make it possible. What do you need to do to generate leads and connect with your clients each day? Making a plan will help you stay on track and become consistent. What prevents you from being consistent? For some of us, it’s feeling compelled to put out fires immediately. For others, it’s getting overwhelmed by emails and our always-growing to-do lists. Unfortunately, not only do these tasks prevent us from being consistent in doing the activities that drive our businesses, they also keep us in the trap of being busy instead of productive. Once you identify what’s holding you back, you can change how you deal with it. For example, if you’re distracted by emergencies that arise, set aside dedicated time to handle them. That way, you can be sure you’ll deal with it, but it’ll be on your terms. Set yourself up for success by being proactive, rather than reactionary. This will help you build lead generation into your day, whether it’s the first thing you do when you get into the office or how you spend your afternoons. Track your activities. Tracking holds you accountable and allows you to stay consistent. When you work to regularly track your activities—whether it’s in your CRM or on your calendar—it’ll eventually become second nature. Tracking also allows you to see your progress and offers perspective when you need it the most. If you struggle with consistency, make this the year to improve this habit for the health of your business. When you consistently do your lead-generating activities, your business with thrive. When you consistently stay in touch with your clients, you’ll continue to build trust with them. By adhering to a system that encourages consistency, you can be sure you’ll stay on track to generate the leads your business needs to thrive. Brian Buffini was born and raised in Dublin, Ireland, and immigrated to San Diego in 1986, where he became the classic American rags to riches story. After becoming one of the nation’s top REALTORS®, he founded Buffini & Company, an organization dedicated to sharing his powerful lead-generation systems with others. Based in Carlsbad, Calif., Buffini & Company has trained over 3 million business professionals in 37 countries and currently coaches and trains more than 25,000 business people across North America. Today, Brian reaches over 1 million listeners a year through his popular “Brian Buffini Show” podcast.